Just in time for Earth Day! 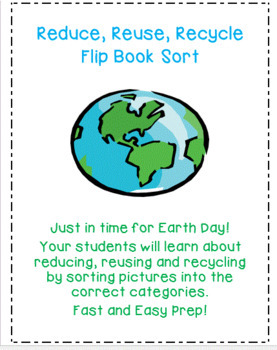 This flip book will teach your students about reducing, reusing and recycling. The students will color, cut and glue pictures in the correct category. The prep is easy and fast! Just fold the flip book in half and cut the front side into three sections. The students will sort the pictures according to reusing, reducing and recycling.